The Washington Post published my opinion piece about Shahidul yesterday. Below, a slightly earlier version of the final edited piece for those unable to access WP. In March this year, Pakistan Tehreek-i-Insaf (PTI) Chairman Imran Khan welcomed Aamir Liaquat Hussain into his political party. Aamir Liaquat will now represent NA-245 Karachi-I East-IV in the National Assembly. 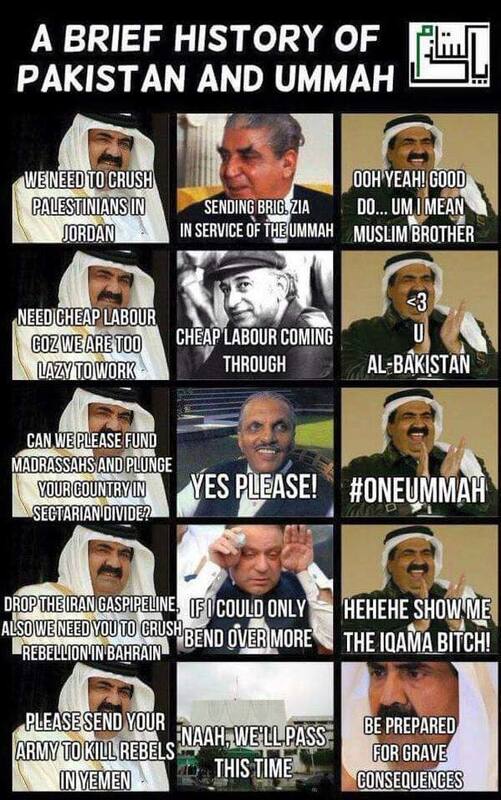 Naya Pakistan? As dust from Pakistan’s general elections settles, this is a good time to look at the bigger picture and take stock of what has happened and what is likely to happen. It is also time to re-assert that democracy is messy business, that it is a process, not an event, and that controlled democracy, while not quite democracy, is better than dictatorship. In short, it’s complicated. Despite the surface optics, this may well be the best of times for Pakistan. A time of despair, but also uplifting. The country is moving in the right direction politically, but the process is marred by interference from within and outside its borders. Noteworthy within the larger picture is that Pakistan has recently completed an important cycle in the democratic political process: the peaceful transition of power from one elected government that completed its tenure, to the next — only the second time in the country’s history that this has happened. The first time was when the government elected in 2008 (the late Benazir Bhutto’s Pakistan People’s Party, PPP) handed over power to the next elected government in 2013 (Nawaz Sharif’s Pakistan Muslim League-Nawaz, PML-N). Both governments completed their tenures despite noisy, distracting opposition often seen to have military support. There are many factors behind the election – or “selection” — results. Firstly, there is Imran Khan’s charisma coupled with his emotive rhetoric that appeals to many who came to political consciousness during Gen. Pervez Musharraf’s military dictatorship (1999-2008). They include youth as well as adults who initially supported the “liberal” dictator seen as symbolising a change in ideology from his predecessor Gen. Ziaul Haq’s oppressive rule (1977-1988). Coupled with this is disillusionment with the old political parties – “desperation” as one PTI supporter put it. PTI’s slogan “Tabdeeli” (change) and its anti-corruption rhetoric speaks to the desire for change among such people. These factors together could well have made PTI to be the election frontrunner in any case. But the process was not allowed to take place on its own. Various other elements pushed the PTI past the finish line further and faster than it may have reached on its own. These include massive, unprecedented censorship in the run up to the 2018 elections that helped forge a narrative loaded in favour of PTI. Journalists, particularly in the broadcast media, were forced to not only virtually black out PPP and PML-N, but also mention their leadership only in a negative light. Of course, the dominant narrative does not determine how people vote – party loyalists will vote for their party regardless — but it certainly can influence the undecided voter or one who is on the fence. Additionally, the judiciary was deployed to disqualify candidates belonging to these parties. Further, candidates (especially from PML-N) were threatened, coerced or blackmailed into giving up their party tickets at the eleventh hour and either withdrawing from the race or contesting as independents. Perhaps the most significant factor behind the electoral results is the lack of electoral transparency and post-polling manipulations. Polling agents in dozens of stations were not allowed to be present for the vote counting. Many also complained of not being provided copies of Form 45, a document containing data about each candidate, names as well as how many votes they received, to be signed by Returning Officers and polling staff after the vote count. Results for some constituencies came in an unprecedented 72 hours after polling ended, causing further suspicions about this most “rigg-orous” election process as the columnist Nadeem Farooq Paracha sarcastically termed it. Significantly, all the parties except for PTI have complained of these manipulations and irregularities. Imran Khan has magnanimously promised to look into all electoral complaints. Not a word about the censorship and other pre-poll manipulations. But whatever the factors behind PTI’s electoral win, Pakistan must ride this wave. There are positives to focus on and strengthen, for example, the clear desire for change among the people – beyond the superficial “tabdeeli” promised by PTI. These aspirations have led to the emergence of some promising electoral candidates, including women and representatives of religious communities other than Muslim. Some have won provincial and national assembly seats against daunting odds. Others, even if like the lawyer Jibran Nasir in Karachi did not win, continue to challenge the dominant narrative, raising important questions about identity, inclusion and pluralism. It is in fact such real changes taking place on the ground that are so threatening to the establishment and the politico-religious forces. Citizens are no longer satisfied with treading the path they are expected to follow because of where they were born and into which community. A groundswell of growing awareness about basic rights and human dignity is leading more and more individuals to reject the old order and to cross or aspire to cross socio-economic, class, caste and gender barriers. This is the real “tabdeeli” that is taking place, regardless of Imran Khan’s rhetoric. Changes on the ground will continue to challenge the status quo in ways that only make news when there is violence. Indian PM Modi and US President Trump: elected leaders riding the waves of fear of change, much like Imran Khan. File photo. As Pakistan braces for the next phase in its polity, there are lessons to be learnt from countries like India and USA where fear of change has led to the emergence of similar ‘strongman’ leadership. Those who voted for Narendra Modi or Donald Trump are not all bigots, misogynists or racists. Many are just ordinary people desperate for “better days” and to make their country “great again”. This is not too dissimilar from Imran Khan’s supporters seeking “change”. Change, like democracy, is a process, not an event. And so we continue to march along that road. Journalists in Pakistan are under increasing pressure, besides severe, ongoing censorship. The break in to columnist and activist Marvi Sirmed’s house and its ransacking is the latest in the series of intimidation, threats and violence to those who uphold democratic values and are critical of the security establishment. Over 100 Pakistani journalists, editors, columnists, media persons from across the media landscape in the country have endorsed this statement since it was initiated on 19 April, protesting against the ongoing curbs on freedom of expression in the country. It follows on the heels of a statement signed by prominent academics including Noam Chomsky. Besides the stifling of debate at university campuses, articles are being pulled off media websites in Pakistan like Babar Sattar’s oped (published in this blog) as well as three other pieces in The News on Sunday this past weekend. Others were not published to begin with, like Mobashir Zaidi’s oped in The News, and Gul Bukhari’s article on 16 April that The Nation didn’t run (published in Naya Daur). Statement and list below. Lawyer Babar Sattar writes an excellent weekly column in The News. This week column didn’t run because, as he tweeted, the media is banned from mentioning PTM, and Geo and the Jang Group (that publishes The News) shut down/ordered not to touch “sensitive” topics. Media is banned from mentioning #PTM. Geo-Jang shut down/ordered not to touch sensitive topics. So my Saturday column couldn’t be published #TheAgeOfFreelyControlledMedia. 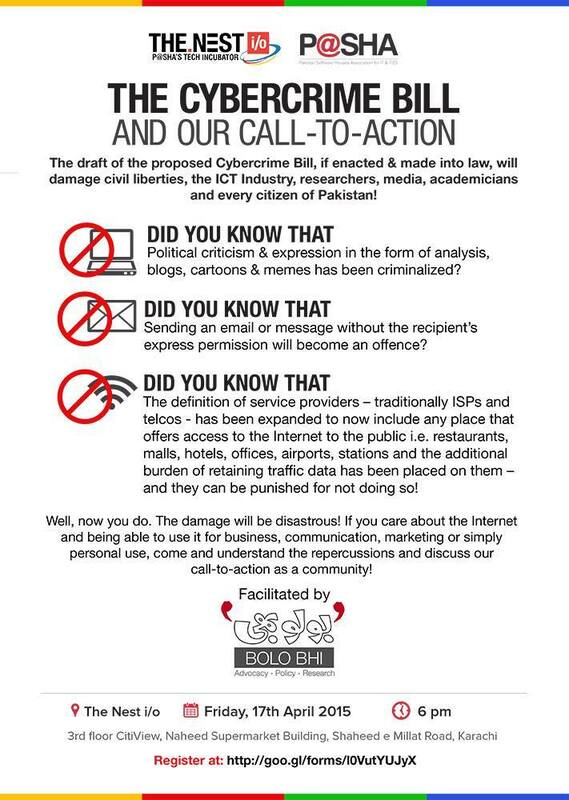 The Pakistan National Assembly’s Standing Committee on Information Technology (IT) on Thursday passed a controversial cybercrime bill that industry leaders and civil society members have been protesting against – see objections in the media release below as well as the warning sounded by Bolo Bhi, a net freedoms organisation. Two earlier news reports summing up the reservations: In Dawn – New cybercrime bill tough on individuals’ rights, soft on crime and in Express Tribune – Legislative bungling: In a bill about cybercrime, MoIT inserts clauses legalising censorship.